Hello everyone! 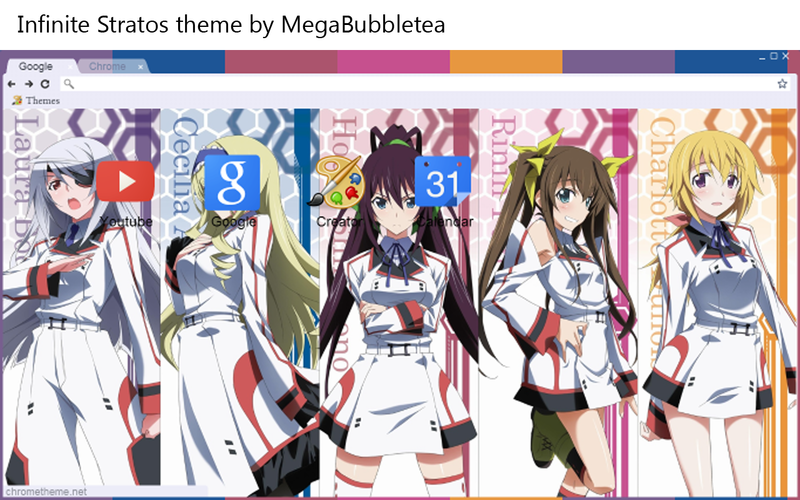 Here is another Chrome theme I made for all Infinite Stratos fans! It features all the five main girl characters in the anime (with all your favourites). Download it, install it, and try it out! It is very colourful and the Chrome UI reflects the main colours of the 5 girls (as seen in the background wallpaper).